The first PlayStation Store update for 2015 is live in North America, although its a small one. You can find two new PS Vita games in this week’s update, in addition to January’s PlayStation Plus Instant Game Collection. Lots of new content is available on the US PlayStation Store this week, with two new PS Vita game, including Final Horizon. 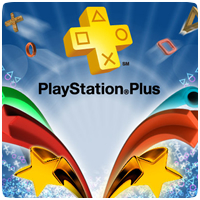 You can also find two new games in the Instant Game Collection, as December’s PlayStation Plus update is now available. Sony has revealed the PlayStation Plus line-up for December for North America and Europe, which will both see exactly the same games added to the Instant Game Collection. Starting on December 2nd for North America, and the following day in Europe, six new titles will be added to the Instant Game Collection. Lots of new content is available on the US PlayStation Store this week, with six new PS Vita games, including The Hungry Horde and The Binding of Isaac: Rebirth. November’s PlayStation Plus games are also available to download, including both the aforementioned games. SCEE has revealed the PlayStation Plus content for July 2014, confirming the six new games that will be coming to the Instant Game Collection next month. Two new games will be available for the PS Vita, including LEGO Batman 2: DC Superheroes. SCEE has revealed the PlayStation Plus line-up for May 2014, revealing the five new games joining the Instant Game Collection. Two new PS Vita games will be joining the Instant Game Collection on April 30th 2014, including Muramasa Rebirth. SCEA has unveiled the PlayStation Plus Instant Game Collection line-up for April 2014, revealing a number of different titles compared to Europe's line-up. On the PS Vita, you can look forward to Velocity Ultra and Pixeljunk Monsters Ultimate HD. New content is available on the European PlayStation Store this week, including two new titles added to the Instant Game Collection for PlayStation Plus subscribers. A new playable demo is available along with six new PS Mobile titles too. 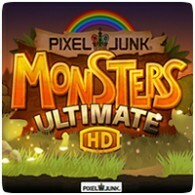 Sony Europe has confirmed the PlayStation Plus line-up for March 2014, revealing PixelJunk Monsters Ultimate HD and Smart As will be coming to the Instant Game Collection, along with three other titles.